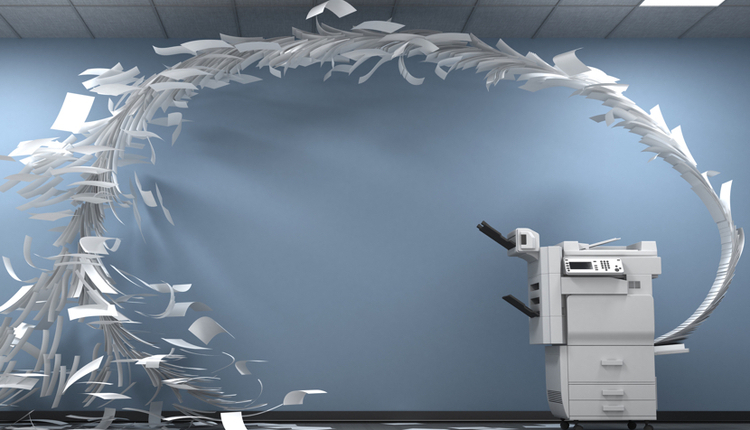 As your organization moves toward producing a less paper environment, one of the key items in achieving this goal is converting paper to electronic documents. The key piece to making this process as efficient as possible, along with producing documents that are true reproductions of the original, is the scanner. But what determines which device is best for your solution? A question I get asked more times that I can remember is, "What kind of scanner should I buy?" The second most asked question is, "I already have this scanner, will it work with your software?" The answer to both questions should be, "it depends." There should be a thorough analysis of the entire project before hardware selection is made. Remember, when producing an electronic image of a paper document it is imperative to capture the essence of the original as the goal is to get rid of the original paper documents. The electronic copy will be used as the legal document moving forward. The scanner is the key component in reproducing the original characteristics of the paper document. Following are the key factors to consider during scanner selection. These factors can be applied to any scanning job or process. Overall selection of a quality imaging device will produce consistent and reproducible electronic documents. Centralized or de-centralized scanning will primarily determine the class or size of the scanner to select. Centralized scanning typically involves a larger, higher speed scanner or network scanner and de-centralized scanning usually involves multiple desktop or departmental level scanners. With centralized scanning, documents are delivered to a primary scan station that serves many users or departments. This may be a corporate office in a multi-office environment, or a file processing room in an organization. De-centralized scanning distributes the scanning of documents to many users who scan lower volumes of documents. This typically involves placing a scanner on many user desktops or in each department in an organization. It is important to select one of these strategies initially to help determine the type of scanner to select. It is not unheard of to employ both methods of scanning in the business process. When considering a scanner you must review the types of documents you will be scanning. 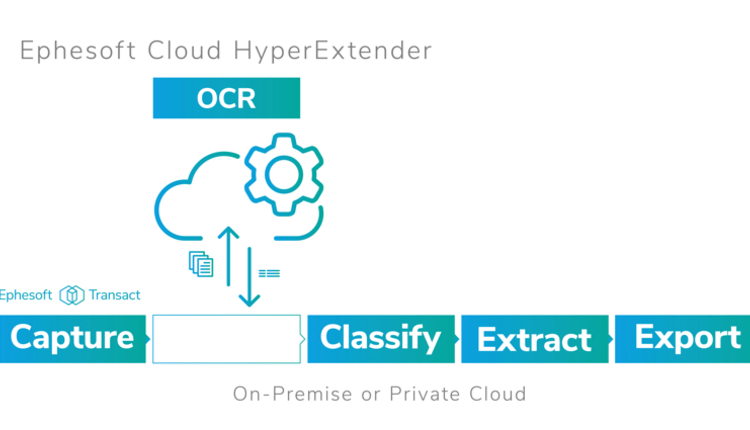 The document characteristics need to be matched to the scanner capabilities. What is the paper size of the documents? Are they all 8.5 x 11 or are some larger or smaller? Are they single or double sided? This will help determine what size document feeder is required for the scanning hardware and if the scanner is simplex or duplex capable (ability to scan the front and back of the page). The scanner chosen should have the capability to scan the largest size document to the smallest size document without changing the scanning parameters. Specialized scanners should also be considered for unique requirements such as scanning insurance cards, driver's licenses, or large computer aided design (CAD) drawings. What are the document characteristics? Are the documents all black and white or are some colored papers? Do the documents have highlighting, handwriting, pencil or ink on them?These questions will help determine if you need enhanced image processing that is built in the scanner or a separate software add on to the scanner. Without enhanced image processing, colored paper, highlights and other document characteristics will cause poor imaging results resulting in unusable images (too dark, too light, etc.). Many scanners come with built in image processing software or include image processing applications with the scanner. What type of paper is being scanned? Is it normal office type paper or is it card stock, multipart form, carbon copy, thin or transparent, etc.? The scanner paper handling functions need to be matched to the paper type to ensure proper feeding of documents and to ensure minimal paper jams. It is very frustrating to constantly stop the scanning process to fix paper jams and feed problems. Scanner cost is directly proportional to speed of the scanner. The more pages per minute the scanner can process the higher the cost. When selecting a scanner it is important to consider the number of pages per day/week/or month you will be scanning. Take this number into consideration when selecting a scanner. It will help you determine how long it will take for the scanning process to complete. For example, if you have a need to scan 1000 pages per day, a scanner rated at 10 pages per minute (ppm) would take 100 minutes to feed the images through the scanner considering only scan rating. Likewise a scanner rated at 25 ppm would take 40 minutes to scan the same 1000 pages. 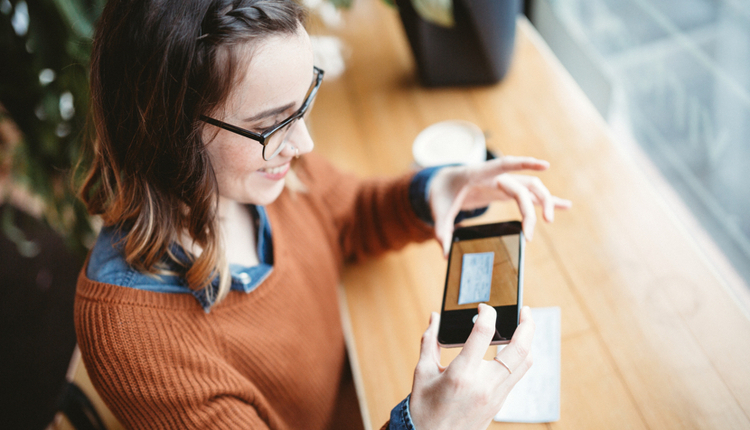 Even though the 25 ppm scanner may cost more, the return on investment may be recouped on labor costs in a short amount of time. Another scanner rating you might come across is images per minute (ipm). This is typically seen on duplex scanners. Since a duplex scanner processes both sides of a document simultaneously, a 25 ppm duplex scanner would have a rating of 50 ipm. Workgroup: typically used for desktop scanning. Have a small footprint to fit on desk easily. Range in speed from 20-30 pages per minute, 40-60 images per minute. Cost range typically $400-$1,500. Departmental: typically setup in a dedicated scan station environment and used in a group or departmental setting. These scanners are designed to run a few thousand pages per day. The size is typically too large to be placed on the average office workers desktop. Scan speeds are typically 30-60 ppm 60-120 ipm. Cost is from $1,500-$3,500. Production: used in high-volume dedicated full-time scanning environments. These scanners are usually deployed as dedicated scan stations with high performance software for volume capture of documents. Scan speeds typically are 60-200 ppm 120-400 ipm. Cost from $3,000-$80,000, with most in the $3,000-$10,000 range for most production environments. Here is one other tip to keep in mind on scanner speed. Even though the scanner ratings are defined as ppm or ipm, mechanically the scanner is capable of feeding a document in inches per minute. In other words, scanning a 8.5x11 inch document in portrait style layout would require feeding 11 inches of paper through the scanner. This is typically tied to the specified page per minute value. So, if you purchase a scanner with the capability of feeding documents in portrait layout, you can effectively gain approximately a 23% faster scan rate. This would effectively make the 25 ppm scanner approximately a 30 ppm scanner. Turning paper into digital images can only be successful if you can read the documents you have scanned. Image quality must be sufficient to reproduce the original document. Document scanners today offer many integrated image enhancement capabilities. Look for a scanner that offers the ability to enhance image quality at scan time either with add on software that comes with the scanner or with built in image processing functions. Image processing will typically "clean" the document as it is scanned for dark or light text, color correction, color dropout, border removal, hole punch removal, various types of ink/pencil marks/highlights, and a host of other functions. The quality of the scan will also be affected by the optic/lamp technology of the scanner. Many low end scanners are available, but spending a few dollars more on a higher end scanner will payoff in both image quality and longevity of use. Many times a great scanner can produce an image that is actually of better quality than the original by enhancing the document with the use of the image processing features. Whatever scanner you end up selecting, it must work with the imaging/document management software deployed in your organization. Most every software capture product will either support an ISIS scanner driver or a TWAIN driver. The scanner manufactures build the scanner hardware to work with either or both of these standard drivers. The driver ships with the scanner and is produced by the scanner manufacturer for the specific scanner model. Make sure to check the scanner you are considering to ensure it has a driver that is supported by the software package you are going to be using it with. Beware that some scanners/multifunction devices do not have ISIS or TWAIN drivers, or they have a driver that is not fully compliant with the ISIS or TWAIN specification. Be sure to check with your software manufacturer to ensure that the scanner you are considering is fully functional with the software. Most scanners have a recommended throughput rating in pages per day. You might see numbers like 1,000 pages per day, 3,000 pages per day, etc. This is not a limiting factor of the scanner, that is to say once you reach the number it will stop scanning, but a recommended volume pertaining to scanner wear. Scanners do wear out and have a limited life. Many of the quality scanning hardware will have easily replaceable wear items such as rollers and pickup pads that can be changed by the end user. These replacement parts are readily available at fairly low cost. The reputable and quality scanner manufactures will also offer service agreements and great warranties. These range from onsite service technicians to advanced exchange programs where a replacement scanner will be shipped out before you have to return your scanner. The higher end scanners a very reliable, but do occasionally fail so be sure to select a scanner that has a warranty and readily available parts. Selecting the correct scanner to deploy with your software solution can enhance the overall solution and success of your paperless project. Correctly sizing the scanner to your paper volume and ensuring the scanner capabilities meet your document handling requirements is crucial. Without matching the scanner to the job, you may be costing yourself money in excess labor, lost productivity, and even worse, not being able to effectively reproduce the original document. Do not underestimate the importance of a quality scanner in the overall scope of your project. Although cost is an important consideration, it should not be the only driving factor in scanner selection. A good balance of cost, image quality, speed, and reliability should ultimately determine your final choice. Abe Niedzwiecki is VP of technology at Cabinet NG, provider of document management and workflow solutions. For more information, visit www.cabinetng.com.